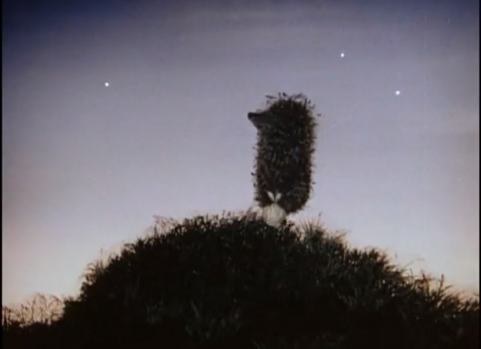 Hedgehog in the Fog by Yuri Norstein, 1975. I showed this at our launch event, and I thought I’d post the link for those who missed it! Stop motion animation, anthropomorphic animals, magically beautiful… what more could you want? It inspires us as we figure out how we want to stage the story of Reynard the fox, that smooth operator, not as animation but as object theater. The studio space is reaching that “substantial completion” point. Floor and stairs are painted, walls are done, windows and doors are in, and the trim and shelves are going in today! Meanwhile, in the kitchen, we are cooking up a storm for our Studio Reynard launch dinner event in one week. We have been sold out for a while but please join the mailing list to find out when will we host our next Cafe Isegrim pop-up dinner salon. Lastly, Anastacia and I have been collecting materials for weeks : gnarly roots, foam, faux fur, fabric, detritus, plaster, papier maché, wire, cardboard, dried stalks and seed pods, rolls of paper. Beginning prototype work on the puppets is already underway. So far, a rooster, a fox and a crow. Moving all our stuff into the studio tomorrow! Starting the research and development phase for a small scale puppet-driven duo performance based on the medieval story cycle of Reynard the trickster. My collaborator Anastacia Bolina and I are looking at Russian stop-motion animation, hand-made animal head girl dolls, and pondering the pros and cons of different puppeteering styles and techniques.